Last October, I had the opportunity to spend one week in Gozo and learn more about the beautiful Mediterranean island from the Malta Tourism Authority. I arrived in Gozo with limited knowledge and zero expectations, and by the time I left, Gozo had officially become my favorite travel destination. Planning at trip to this beautiful Maltese island? 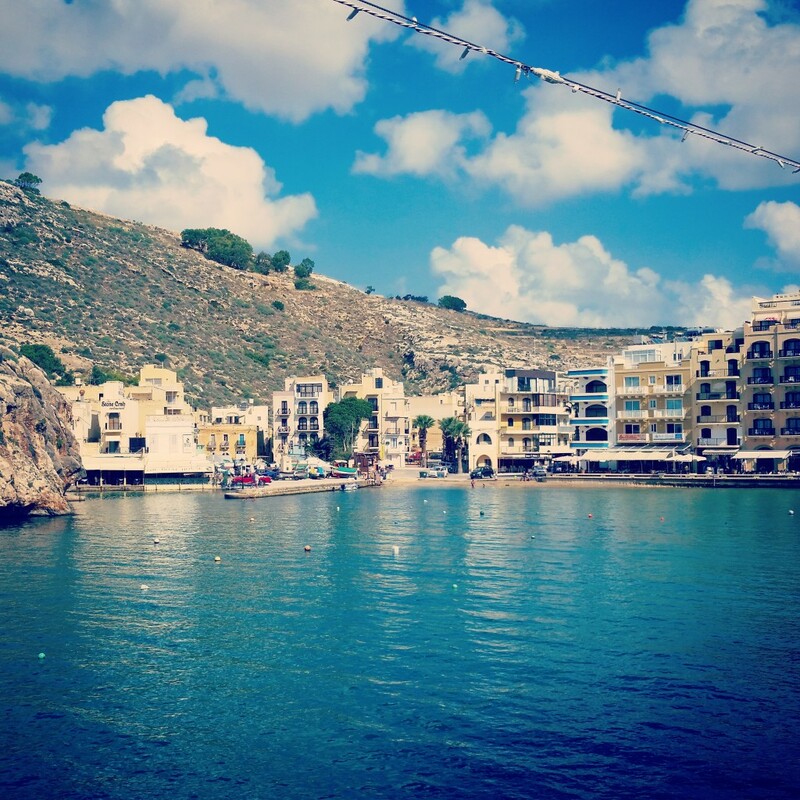 Here are ten things you need to know before visiting Gozo! 1. How to get to Gozo? To get to Gozo, I took an Air Malta flight from Venice to Malta International Airport. I have to say, Air Malta is the best airline I’ve ever flown on! The economy seats are as roomy as most premium seats on US-based airlines and have plenty of leg room. Also, although the flight was fairly short, we were given a Mediterranean veggie sandwich and date cookies. To get from the airport on the island of Malta to the island of Gozo, you must take a ferry. We arranged transportation with Frank’s Garage in Gozo. The driver met us at the airport and drove us to the Gozo Channel Line ferry. During our journey, we were free to roam the ferry and managed to get some great photos. Once we reached shore, we met our driver below deck, and he drove us to our accommodations. All-in-all, the journey from airport to Gozo isn’t fast or easy, but it’s actually pleasant. The drive from Malta International Airport is full of interesting sights, and the ferry trip is a great opportunity for photos. You can check out a video clip of the journey on my Instagram account. 2. Where to stay in Gozo? 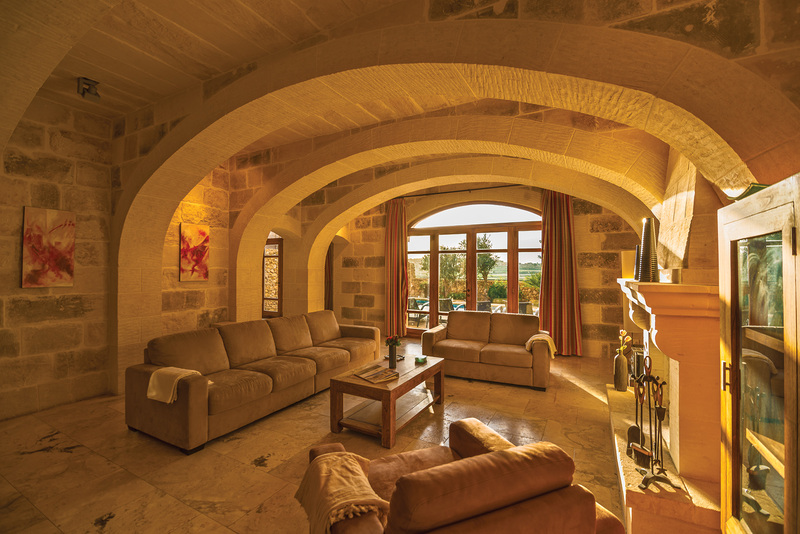 When visiting Gozo, I’d suggest that you skip the hotels and rent a traditional Gozo farmhouse. 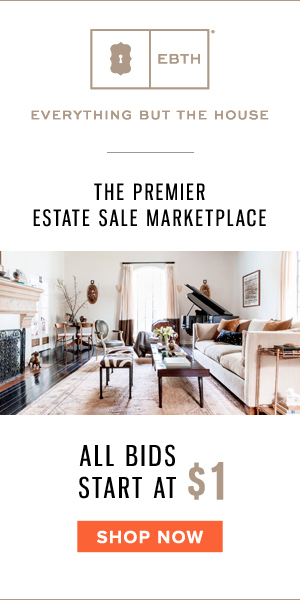 The term “farmhouse” may conjure up images of chickens, cows and a twin bed in a creaky old house – but that couldn’t be further from the truth. We stayed in one of The Baron Group’s gorgeous rentals, and while the home may have been a farmhouse in name, it was definitely more of a luxury villa. The Baron Group farmhouse we stayed in featured heated floors, an in-ground pool, four huge bedrooms with private ensuite bathrooms, a huge kitchen and amazing views. Think I’m exaggerating? Check this video I took from our backyard! When visiting Gozo, you have three transportation options: you can rent a car, take a taxi (again, I recommend Frank’s Garage) or take the bus. In addition to using Frank’s Garage taxi service, we also used the bus to get around and found it to be a surprisingly effective way to visit all of the sites we hoped to see. There are a few different buses roaming around town – the one we used was the green bus marked Gozo Sightseeing. It runs every 45 minutes, has an open top which is great for taking pictures, and features an audio tour. Tip: You can book tickets online! 5. What is the best time of year to visit Gozo? I visited Gozo at the end of October, and the weather was beautiful. The temperature stayed within the high 70’s, making it a great time of year for both walking around (without breaking a sweat) and perfect for boat rides and swimming. While early Fall is a great time to visit Gozo, many experts also recommend visiting Gozo in the Spring (particularly May and June) for equally temperate weather. However, the summer months are also a great time to visit, as that’s when most local feasts (festas) and celebrations take place. For more, check out 101 Holidays’ post on the best time to visit Malta. 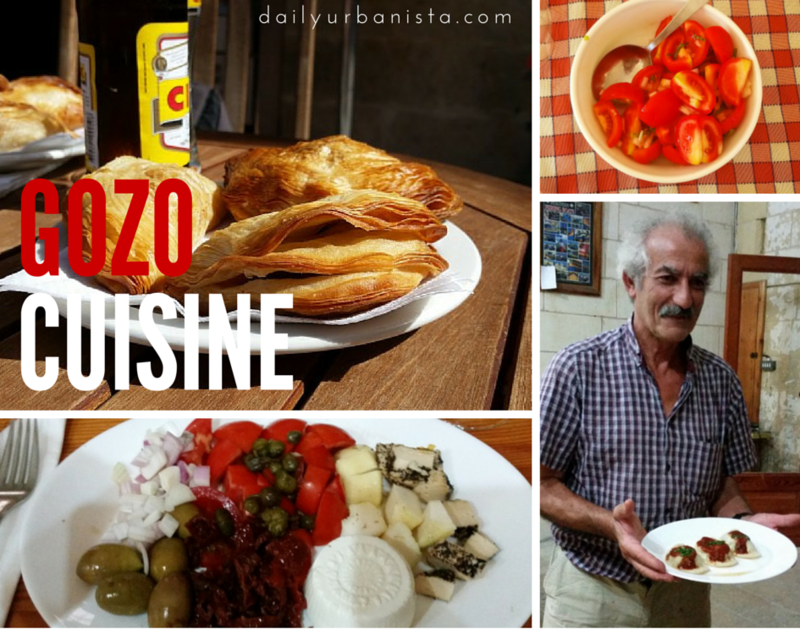 When in Gozo, it’s a good idea to step outside your culinary comfort zone. I did – and I’m glad. Prior to my first meal in Gozo, I had no idea what Maltese or Gozitan cuisine would consist of. Like most Mediterranean cuisines, traditional Maltese and Gozitan cuisine relies heavily on fresh, locally-sourced ingredients. Eating fresh, local food that hasn’t been processed or doused in pesticides is simply their way of life. When in Gozo, you must try the famous Gozitan platter. Ta’ Rikardu serves an excellent one – along with absolutely delicious goat cheese ravioli that’s made from scratch with cheese made from Rikardu’s goats. You also can not visit Gozo without trying a pastizzi, and you absolutely must try some kunserva – Ta’ Mena Estate makes excellent kunserva! Click here for a list of the best restaurants in Gozo. 7. Is Gozo a good place for families to visit? The short answer: yes! I highly recommend you check out my friend Giulia and Fabio’s family travel blog Bambini Con La Valigia for tips on visiting Gozo with kids. Note: the blog is in Italian, but Google Chrome will translate the site for you. 8. Can you drink the water in Gozo? Yes, you can drink the water in Gozo… but you probably won’t want to, as it has a very unpleasant taste due to the mineral content. Your best bet is to stock up on large bottles of water for drinking! 9. Where can I learn more about the history of Gozo? 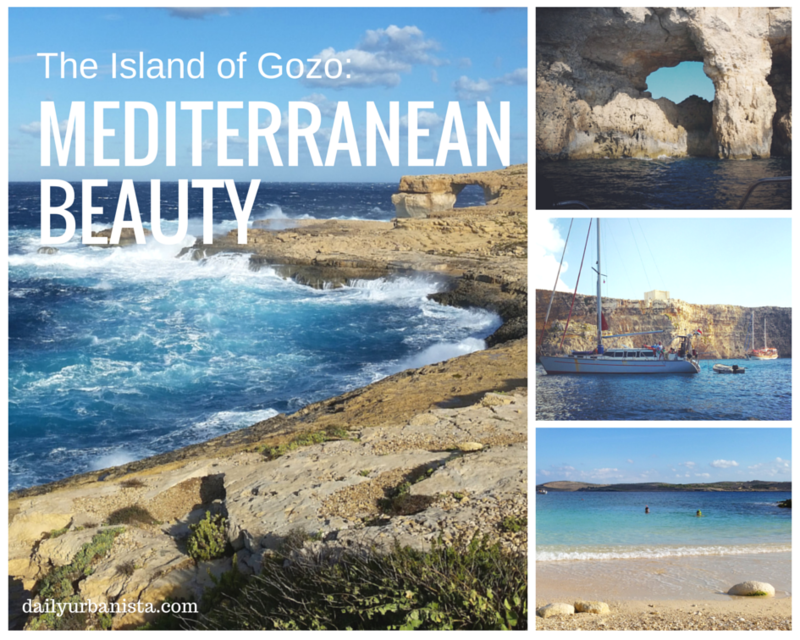 The islands of Gozo and Malta have quite the history! Some people believe that Malta was part of the Lost City of Atlantis, and Calypso’s Cave is thought to be the cave featured in The Odyssey, and Malta is even featured in the Bible! UNESCO has dubbed Valletta as “one of the most concentrated historical areas in the world”, and the Megalithic Temples happen older than even the pyramids of Egypt or Stonehenge! Click here for fun facts about Malta / Gozo! 10. 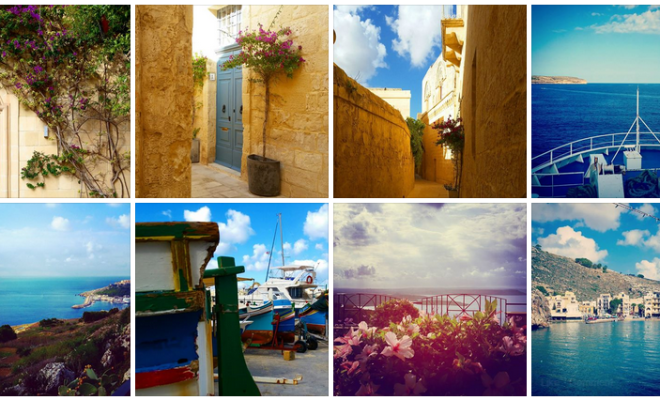 Where can I find more tips for visiting Gozo? 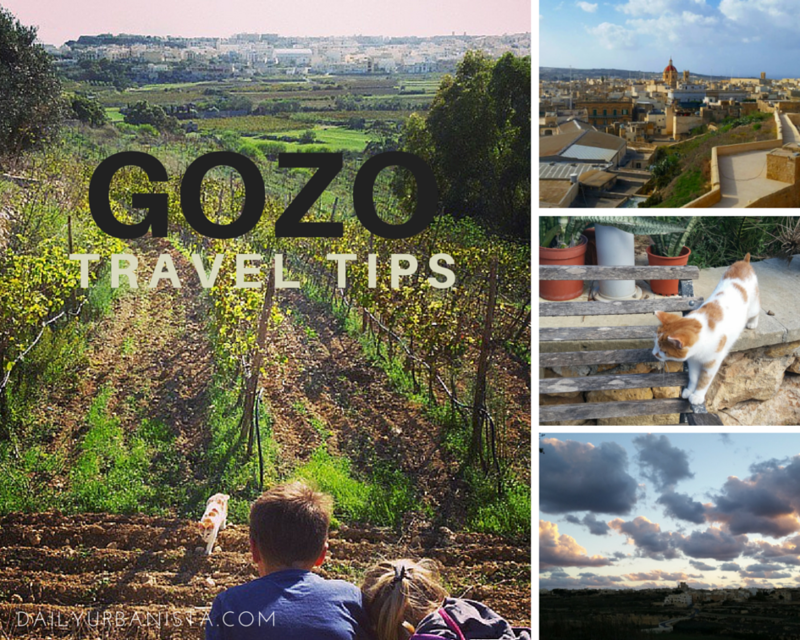 In addition to the Gozo travel tips listed on our blog (click here to view all of our posts about Gozo and Malta), the Malta Tourism Authority is by far the best resource for Malta and Gozo travel tips! If you’re planning on visiting Gozo, check out VisitMalta.com to discover more travel tips and ideas for things to do in Gozo. 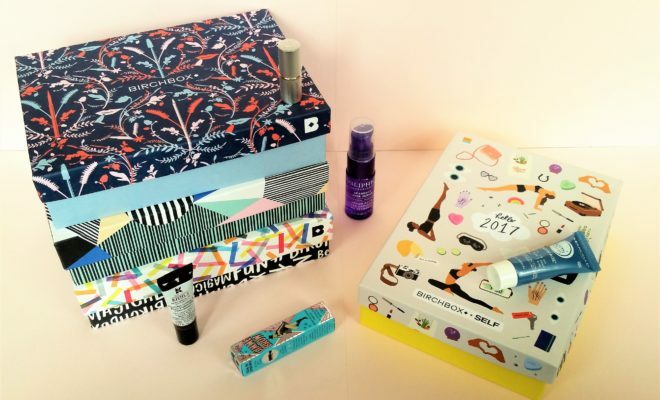 Pssst – we’ve had a busy year! 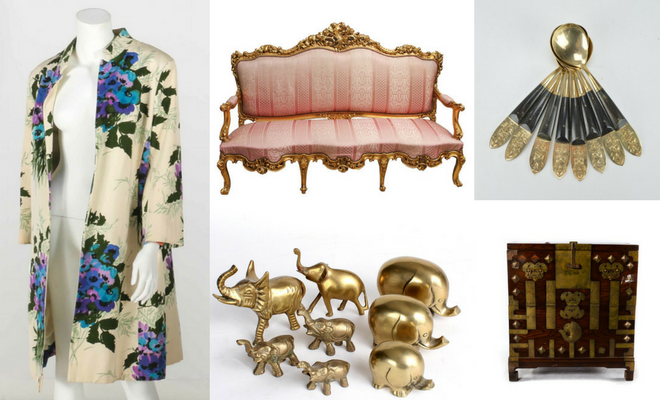 Click here to see where else the Urbanistas have traveled to lately! Disclosure: My trip to Gozo was sponsored by the Malta Tourism Authority. However, everything within this post is based on my own personal experiences and opinions. To learn more about the trip, click here. All photographs are property of dailyurbanista.com unless otherwise noted. Actually, it’s not recommended to drink water from the pipes anywhere in Malta because you could have problems with stomach.